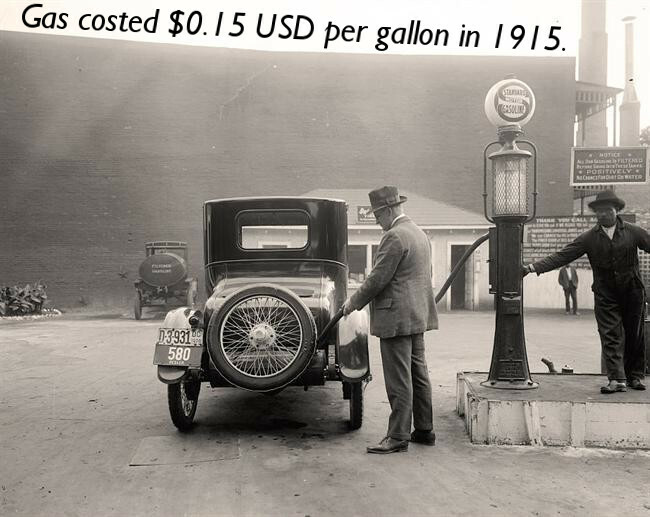 The cost to fill up gasoline in 1915, about 100 years ago, was only $0.15 USD per gallon! To put that in perspective, today it costs well over $2.00 per gallon. But interestingly enough, when account for inflation, taht $0.15 costs over $3.00 in today's currency. But regardless, imagine what gas costs 100 years from now (assuming we are still using gasoline).